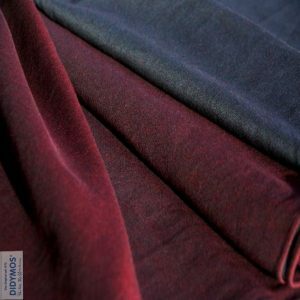 Storchenwiege Leo Violet (Violett) is one of the three Leo colorways dedicated to the soft hues of Summer blossoms. 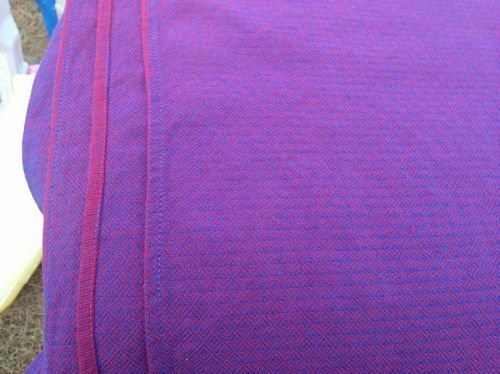 Leo Violet is much rosier than the blue-purple color of Leo Rose. 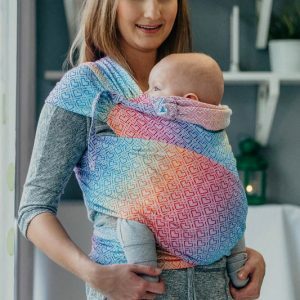 It is made up of blue and red threads woven into that signature diamond pattern that has been so beloved to so many wrapping parents for over a decade – the supportive, light and gorgeous Leos. 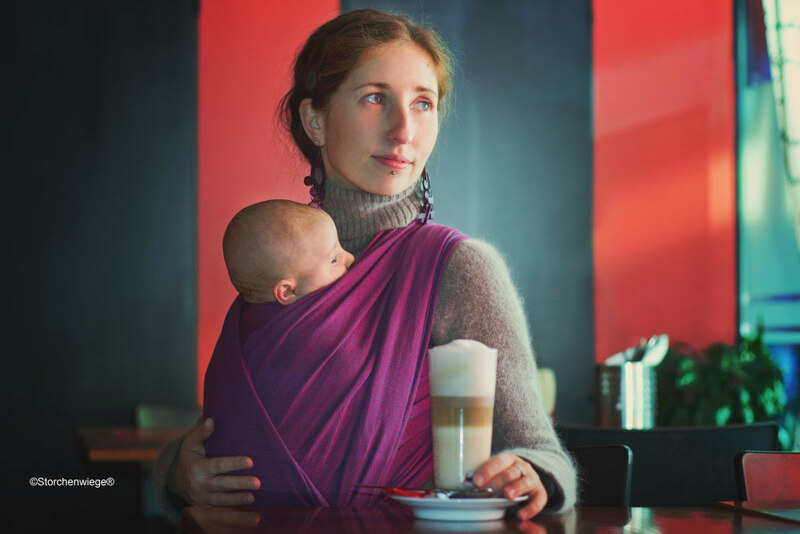 Leo Storch wraps are a perennial favorite – parents love the extreme comfort and support of this weave! 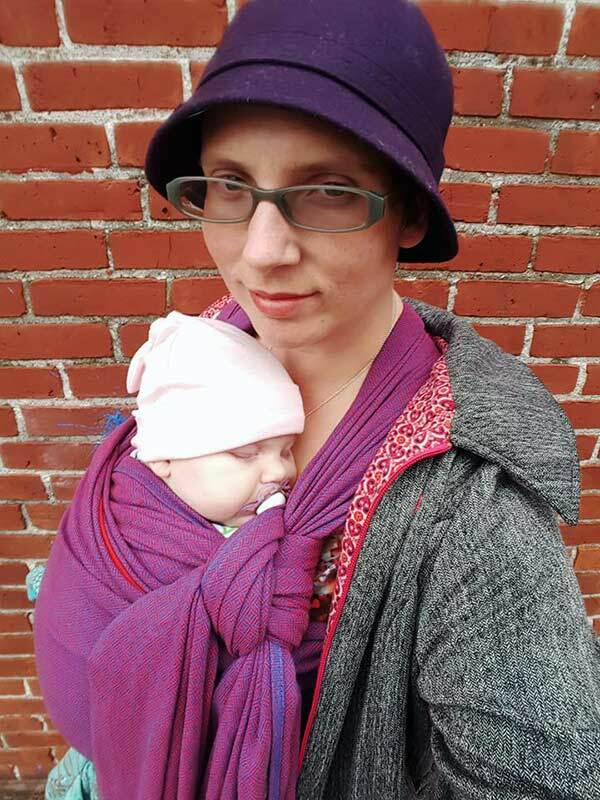 A medium-weight wrap, Leo Violet softens up with use and washing. 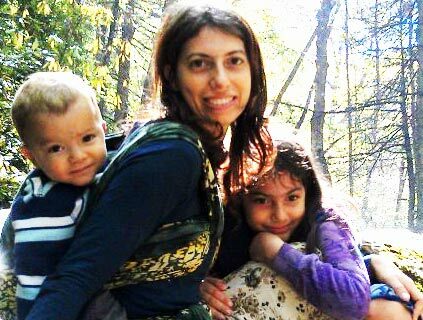 It is durable and easy to care for. 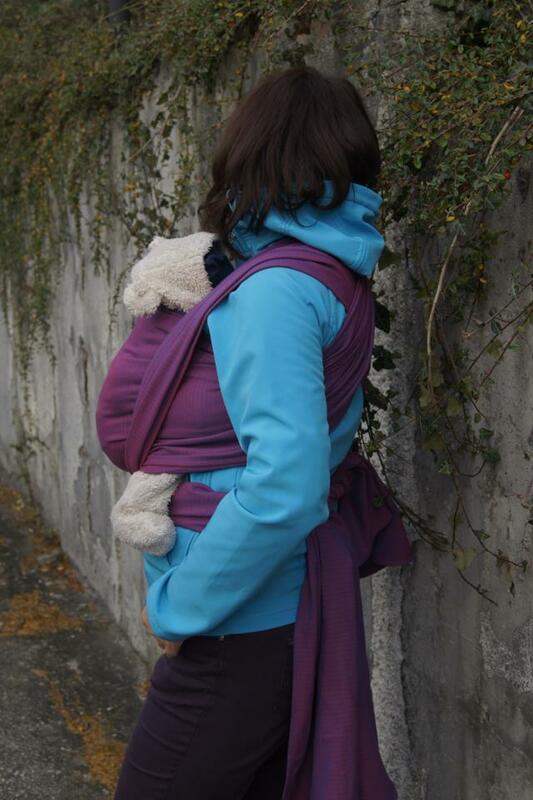 A great all-purpose wrap for any age. Storchenwiege wraps are perfect for front, back and hip carries with newborns, toddlers, even pre-schoolers! 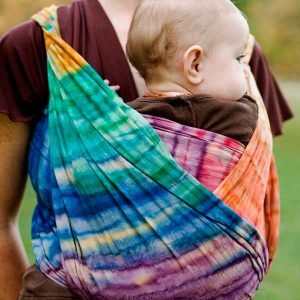 They can be machine washed and it is recommended that you hang to dry. 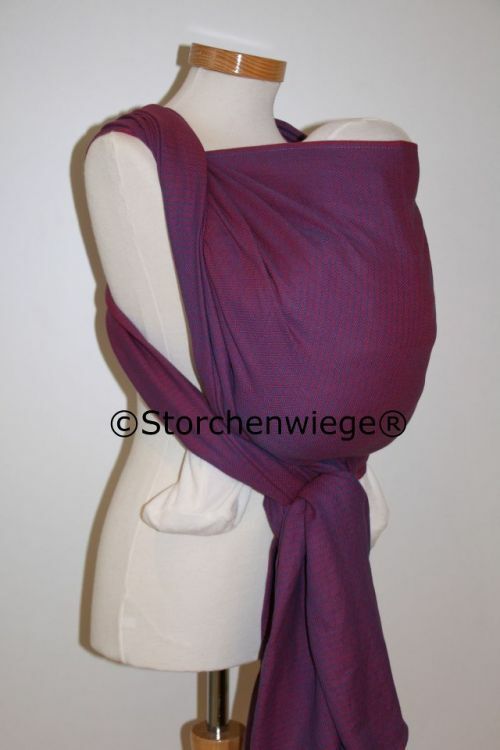 Each Storchenwiege carrier comes with a detailed instruction booklet with great tips for getting a good wrap job. Storchenwiege (pronounced Stork-en-veeg) or Storch means ‘Stork’s Cradle’ in German, where this company is based. 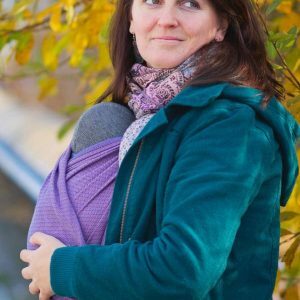 A family owned business, Storchenwiege was born of one woman’s need for the perfect baby carrier for her grandbabies: durable, soft, and ecologically sound! 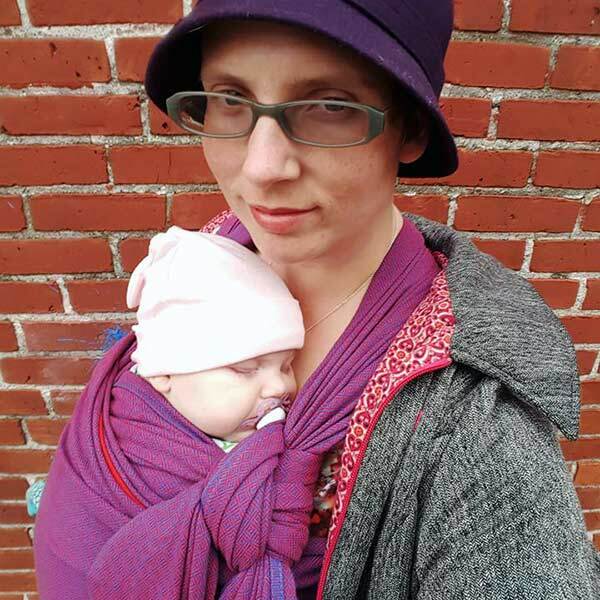 I bought this wrap in a size 7, with the intention of chopping it for a ring sling and a shorty. But I just couldn’t do it because I loved it so much. 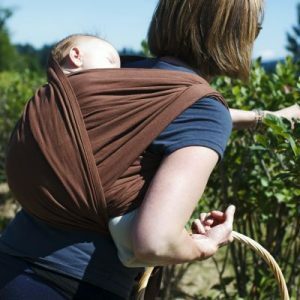 It broke in quickly, but was easy to wrap with even brand new (after a wash.) It is thin, drapey, has a nice grip but is easy to place passes, and was as comfy with my toddler as my newborn. Violet is a stunning colorway, with red and blue threads diamonds that combine to appear a rich purple. 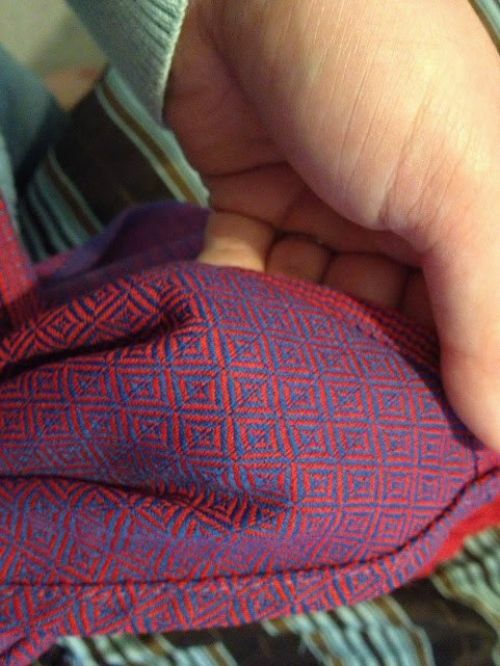 I bought this wrap two years ago, and have since tried dozens of wraps, and it is now the second longest lasting wrap in my collection. (The first is a Leo Marine!) 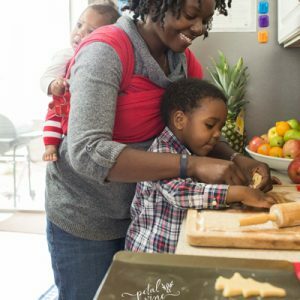 I would recommend it for both new and seasoned wrappers, and babies/toddlers of any age. You can’t go wrong with Leo Violet!